Saving water provides both economic and environmental benefits. Harvesting rainwater is an increasingly popular way to achieve this and can also prove invaluable if there is a drought, a common event in the United Kingdom during very hot weather. The end of summer is the perfect time to set up a rainwater harvesting system, preparing to catch as much rain as possible before the winter months begin. Collecting rain over the next 5-6 months will mean that, by summer 2014, a vast store of liquid will be available for flushing loo's, washing cars and windows and watering parched lawns and gardens. Put simply, letting rain wash off a roof and into the gutters as waste-water is akin to throwing money down the drain. 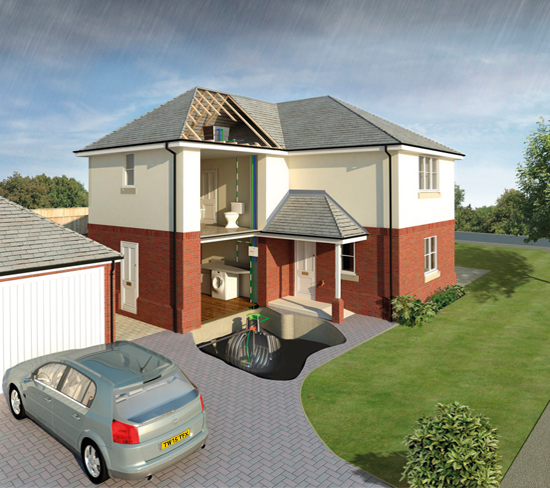 During an average year, a typical roof will be deluged with around 85,000 litres of water. If one considers this in conjunction with the fact that, each time a garden hosepipe or sprinkler system is used, 150 litres of water at a cost of around thirty pence is used, then one can see the value of the waste. By collecting and storing this free commodity, those necessary washing and watering jobs can get done and immense savings can be made as the water is used for watering gardens, washing patios, cleaning greenhouse, filling ponds and more. Rainwater harvesting has happened on a small scale for some time, with people using small water butts or barrels to collect water for gardens. These rudimentary systems offer little protection against drought, particularly during one of the country’s notorious hosepipe bans. The changeable nature of the British weather also means that unexpected dry spells quickly followed by weeks of rain can make it difficult to accurately judge supply. The Twistfix Harvesting Tanks are an innovative, totally automated rainwater recycling system that collects stores and supplies water. 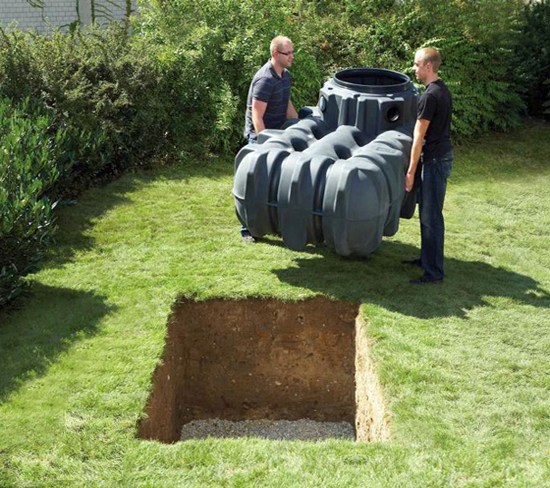 The system is completely compre­hen­sive, comprising a lockable polyethylene tank, internal leaf filters and hose connections, connections for existing pipework and a fully-submersible pump. Available with a 2700 litre or 3705 litre capacity, the system offers unrestricted use of an outdoor tap when there is water available. 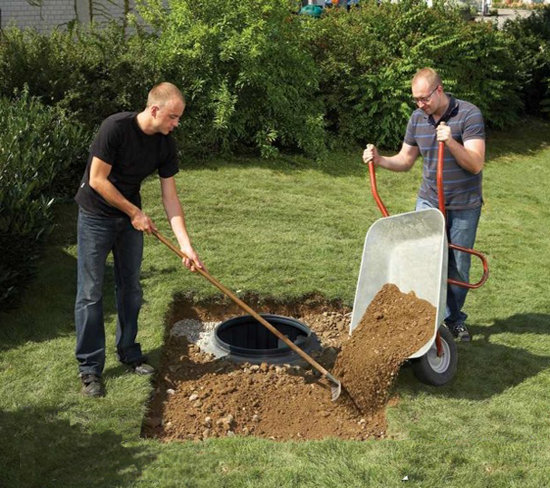 The lightweight rainwater harvesting tanks can be quickly and easily fitted in just one day. Proving to be cost effective, convenient and versatile in use; the rainwater recyling units are becoming increasingly popular for new buildings and for existing properties. For more information on this envi­ron­men­tally-friendly, cost-effective system, please contact our expert team by calling 0845 123 6006 or sending email to sales@twistfix.co.uk.